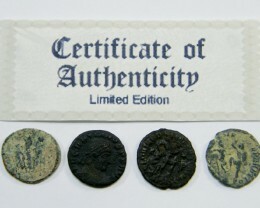 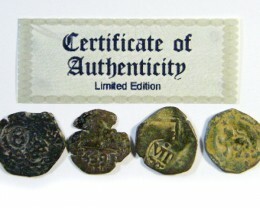 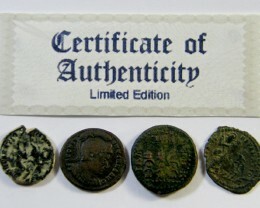 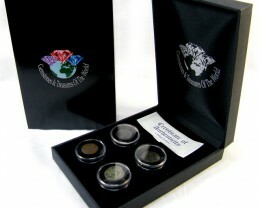 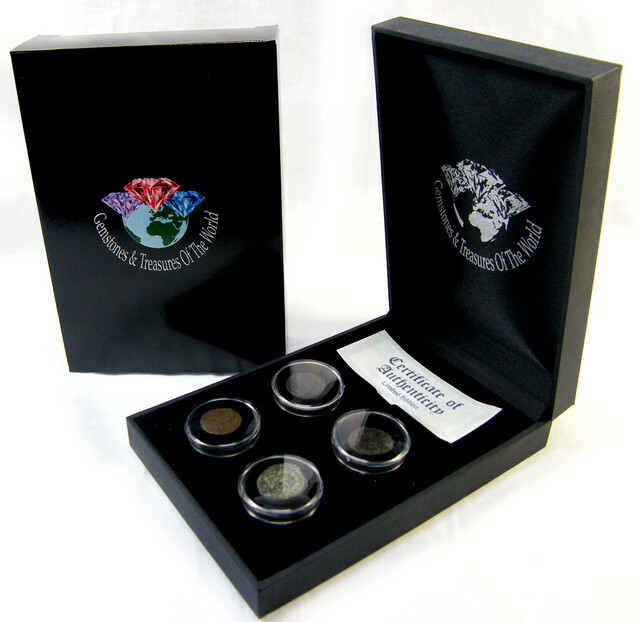 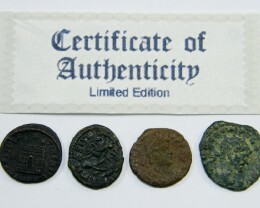 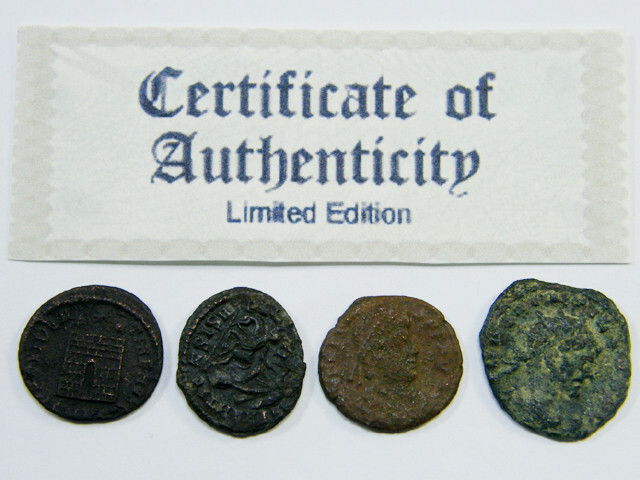 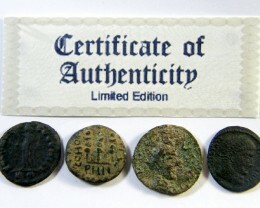 These four Ancient coins are from different emperors and nominations. 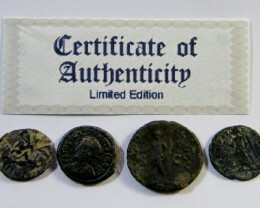 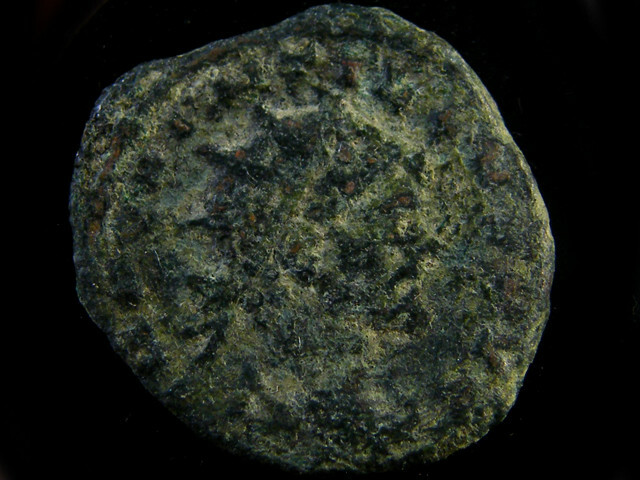 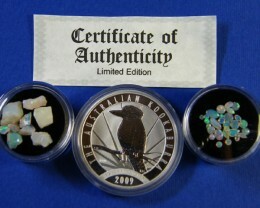 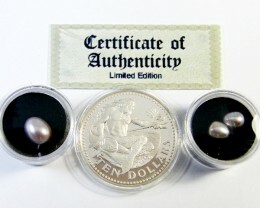 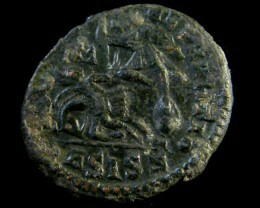 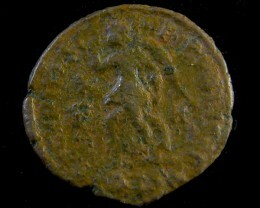 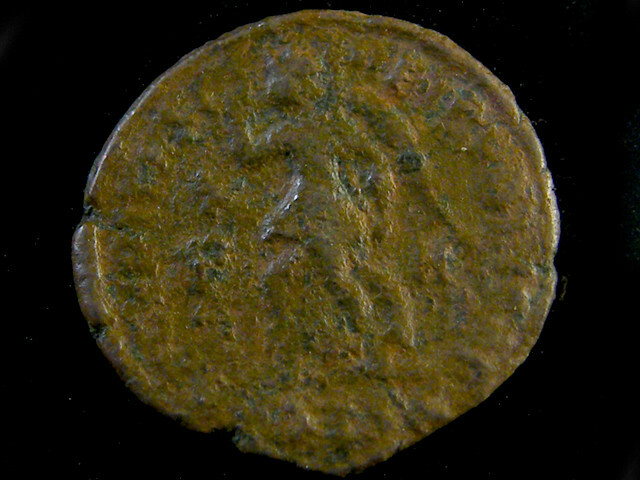 May include Roman middle and large bronzes,Antoniniani ,Follies and other coins. 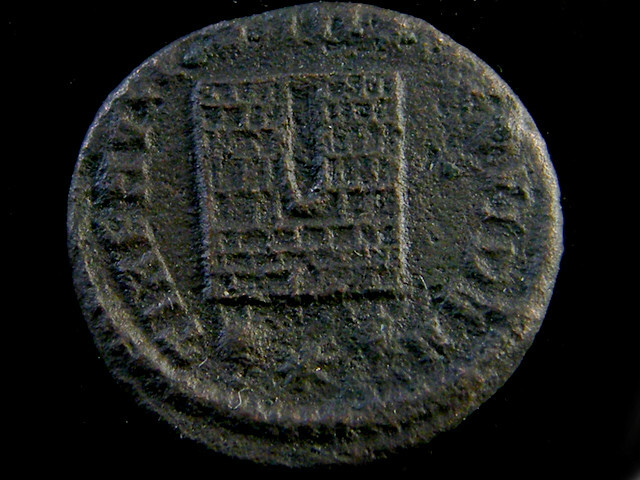 Ancient Rome was founded in 753 BC And terminated with the Turkish fall of Constantinople in 1453 BC. 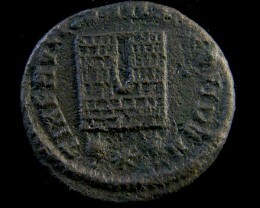 Roman empire stretched over most of modern Europe .